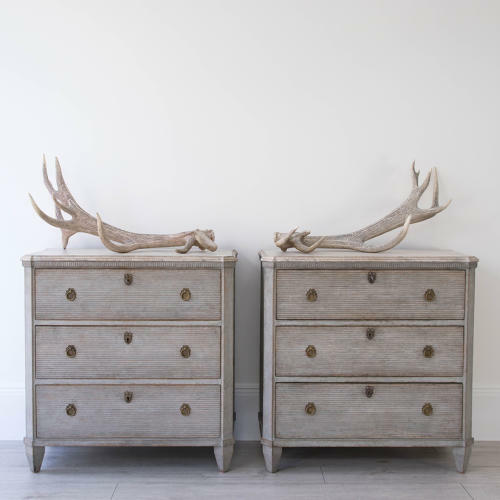 A very fine pair of antique Gustavian style chests in a beautiful light grey patina, and featuring faux painted white marble tops with fluted frieze, canted corners, reeded drawer fronts with decorative Gustavian ring pulls, and square tapered feet. Swedish circa 1870. Restored.